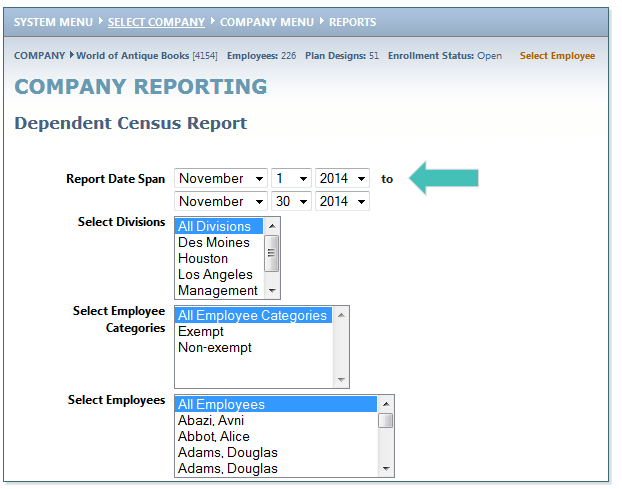 Click on Company Reporting and select Dependent Census. 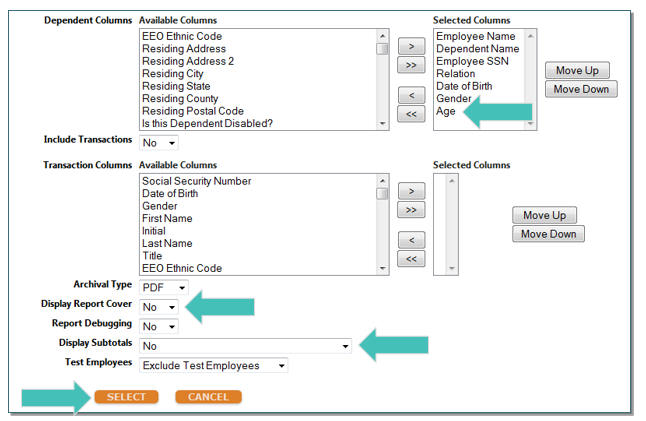 Select the desired date span (typically includes the date you are running the report). 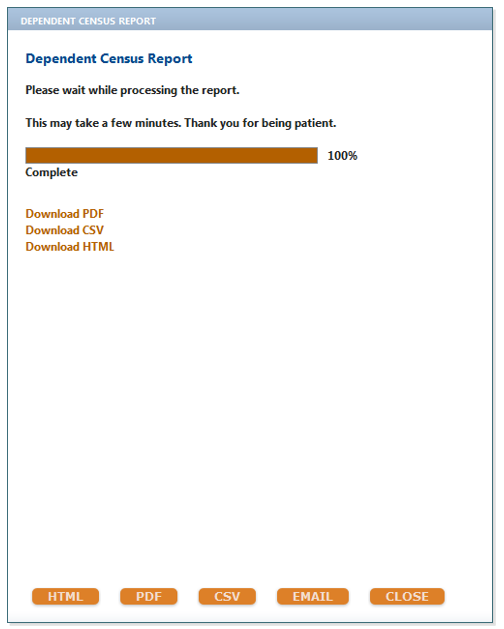 A pop-up will appear indicating the progress of the report. Once the bar indicates 100%, select CSV to run the report in Excel. The Excel document can then be sorted, by Date of Birth (DOB) and/or relation for example, to identify the Overage Dependents that need to be terminated from coverage. 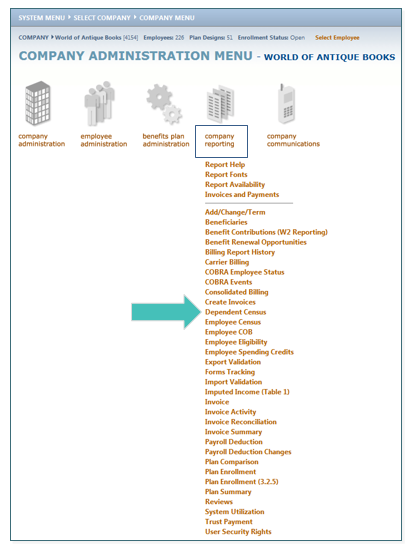 TIP: Sorting by DOB allows the employer to also identify upcoming Overage Dependents.